Are vampires real? Well, some people seem to think so, and a few actually identify as real-life vampires, but the jury is still out on whether Dracula-like creatures actually exist. But even if you’re skeptical about vampires, why not take every precaution to avoid becoming their dinner. After all, better safe then sorry, right? PoJo’s Pure Vermont Soaps, a small online shop specializing in handmade soaps, has just the thing to keep bloodsuckers away – a special bar of soap made with real holy water and garlic oil. Q: Is this a real product? Q: Does it really prevent physical vampire attacks? A: Nobody who has used this soap has ever been attacked by a vampire. Q: Does this soap actually smell like garlic? 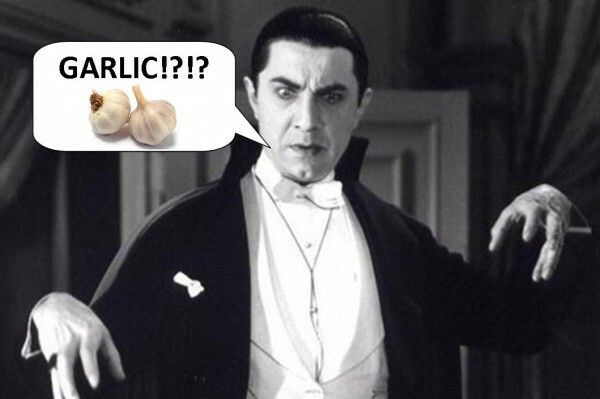 A: Yes, Garlic & Holy Water Vampire Repelling Soap contains garlic oil and no additional fragrances, so it does have a distinctive garlic odor. 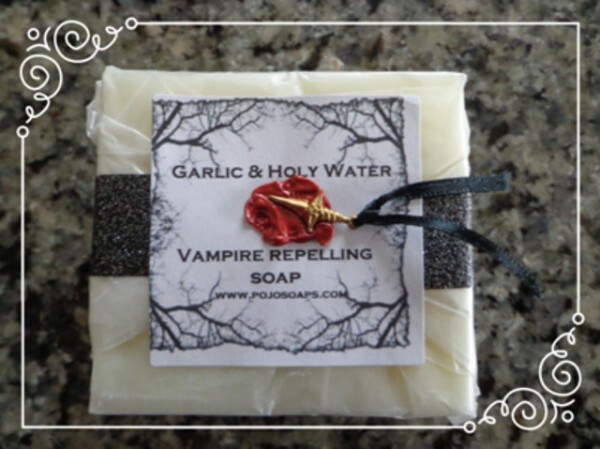 A bar of Garlic & Holy Water Vampire Repelling Soap costs $10, which is not bad for a handmade soap, especially one that might actually save your life, but you can get a better deal by buying more than one piece. Two bars cost $16, and three just $21. No, I know what you’re thinking, novelty garlic-scented vampire repelling soaps are a dime a dozen, and there are indeed other similar soaps out there, but this is the real deal. While most just smell like garlic, this is made with actual garlic oil and holy water. If as soap really can keep vampires away, it’s definitely this one.